On Wednesday, the Phoenix City Council will vote on an agreement with the Phoenix Suns for a $230 million renovation to Talking Stick Resort Arena. 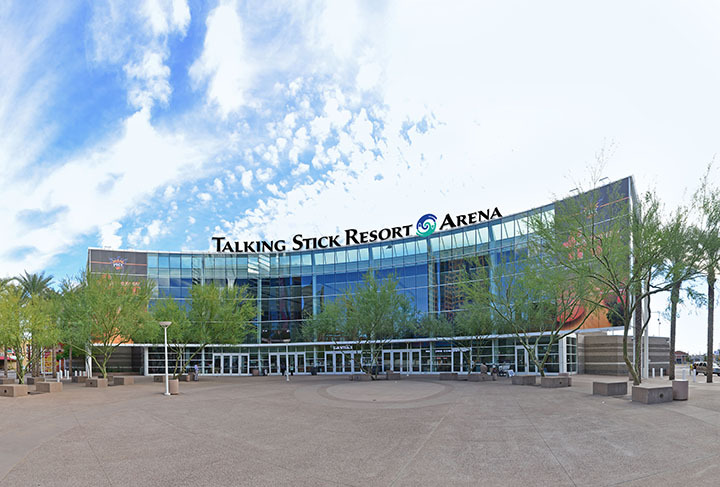 The terms to be considered by the city council would lead to a significant overhaul to Talking Stick Resort Arena, the downtown Phoenix venue that originally opened for the Suns in 1992. Under the proposed financing plan, the city would contribute $150 million from its Sports Facilities Fund with the Suns paying the remaining $80 million. Additionally, the two sides would make annual contributions to a repairs and replacement fund for 12 1/2 years, including $2 million yearly from the city and $1 million annually from the Suns. The Suns would commit to remaining at the facility through 2037, with an option to extend that stay until 2042, while financing a new $25-to-$50 million practice facility elsewhere in the city. Should the Suns depart before 2037, they would be subject to up to a $200 million penalty. If the council approves the deal, Phoenix will pay for its $150 million share of the renovations through its existing Sports Facilities Fund, which consists of taxes levied primarily on tourists for things like hotel room and car rentals. The revenue from that tax was originally earmarked for the downtown arena and other tourism-related projects, but the council has discretion to allocate it to other purposes. According to the city, Phoenix’s share of the renovation will cover necessary infrastructure repairs such as plumbing updates, electrical work and roofing repairs. Although the team has a 40-year lease with the city that began in 1992, the agreement contains a clause that allows the Suns to opt out of the deal in 2022 if the venue is deemed obsolete. The original lease allows the Suns to trigger the process of determining the venue’s condition as early as July 1, 2019, unless the team and the city strike an agreement before that date. Furthermore, a March runoff election will determine a new mayor for the city, with outcome potentially affecting any chances of striking an agreement down the road.